Seung-Hee (Lee Young-Ah) dreams of becoming a drama series writer, but she currently works writing for a third-rate base-on-a-true story reality show. The program then gets canned. Making things worse for Seung-Hee, the president of the production company runs off with her car. Seung-Hee now doesn't know where to look for a job. She decides to go to the employment service center to apply for unemployment assistance. At the center, she meets Jong-Dae (Namgung Min) who works as a temp there. Jong-Dae is her first love. They first met during her freshman year at college and dated for 7 years before breaking up. Since then, they have become hostile to each other. While they argue with each other like old times, they begin to feel their love for each other rekindle. Sheng Aug 11 2016 1:41 pm I'm currently watching this drama; however, it doesn't attract me but still it's a good catch for Namgoong Min. His cuteness still exist in this series. I'm loving him because of that. P.S. Seo Jun-Young is also HOT! Fan Apr 17 2016 4:26 am Okay i have to take back i have said about this drama. I only say that because i found episode 1 and 2 boring. But episode 3 to 10 are awesome. I think the ending is a little bit short. They should be a wedding! Xuân Tnanh Feb 13 2016 11:03 pm I rarely watch romantic korean movie, but in my opinion, this movie take my tears so much. The main actress she has face look like my ex girlfriend so i watch this. I didn't regret it because it is the best of best romantic movies i have ever seen! internet Marketing Services Oct 02 2014 10:32 pm Atlanta SEO company professionals perform various analytical steps and apply updated strategies to decide what is lacking on your company website that makes it unable to reach top rankings. The company professionally manages the online reputation of the client using modern internet tools such as integrating social media, tracking online data, improving traffic on clients' websites, among others. Controlling your time and energy and the zero's on your paycheck is essential these days, and with this type of business you are able to. le Jun 23 2014 4:02 pm i really like the main actors lee young ah and nam gung min. lee young ah looks like son yeh jin and lee ha na. i was watching nam gun min's drama wild chives and soybean soup, and wanted to watch this drama. this drama is very funny and realistic, also the main guy's best friends are very funny, the last minute of this drama is very very funny. i liked how this drama was light and also had heart. also it doesn't have too many other characters so the storyline mainly focuses on the main couple, their new relationships, and a little about their friends, and family. some of the episodes in the first half of this series drags, i felt they could have condensed the her story and his story arcs to 1 or 2 episodes, but they do a good job of giving viewers a sense of what the characters went through. this drama is one of my favorites now. Lucky May 04 2014 11:51 am This drama is worth to watch. So real, it can be learned about love he he..
d_zhiany Feb 08 2014 6:55 am I dont knwo why I have yo cry in 3rd episode. I just thinking "why I dont have love story like them. loving each other for 10 years.."
anywyay.. good job for writter. make a LOOKS LIKE realistic story. financial planners in boca raton Feb 02 2014 7:17 pm Heya just waned to giv you a quick heads up and let you know a feew off the pidtures aren't loading correctly. I'm not sure whyy but I think its a linking issue. I've tried it in two different web rowsers and both show the same results. 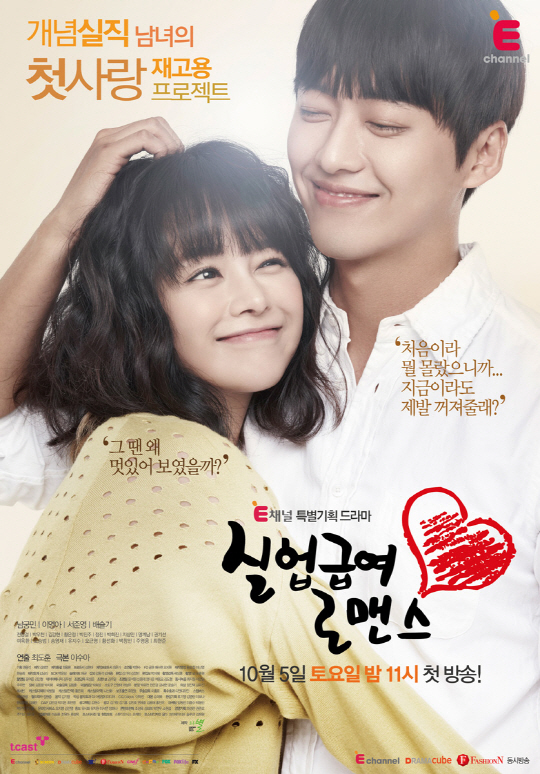 Dee Gee Dec 29 2013 7:45 pm My absolute favorite thing about this drama was that for once the man pursued the woman! WOOOOOOT. 'Bout time. Marie Nov 13 2013 3:20 am I hope she ends up with the one that she will be most happy with, which is Kim Jong-Dae (Namgung Min). Her heart is not true to Aong Wan-ha (lawyer), and she does like him as much as she likes Kim. jojo12 Nov 13 2013 1:42 am I would like to break all of your bubbly hearts, if you're one of those people who believe that one's first love is true love... 99.9% of the time this is not the case. Yes you loved them first, so what? The heart has no limit to how many people person can love. If someone lets you go, then comes back saying they made a mistake, that is their problem they can live with the consinquences like every else. Kao Mor Yang Nov 08 2013 12:43 am I love this show because i love the actress!! im a fan ever since i saw her in iljimae!! :D she is so pretty in here!! im so glad they made her the main girl!!! Davia Oct 27 2013 5:37 pm Cute, funny, romantic, quirky! Very enjoyable so far. Hope she ends up with the lawyer. His character is much more likable and is very sweet. I wish that KD's would stop depicting Korean society in such a callous light. The whole escalator accident and subsequent reporter commentary scenes really make their public look bad. tori Oct 27 2013 1:40 am Why is there only 10 episodes??? fran Oct 24 2013 1:48 pm Can anyone please tell me the song title in Ep. 3 when she was chasing him at the mall scene? Josh Oct 17 2013 1:48 am Wow this is amazing. I am from U.S. 17 years old. This is the best drama ever. Keep going. Ann G Oct 11 2013 2:00 pm Can they extend it to 16 episodes. I feel it's a lot to be told and I feel 10 episodes are not enough. Melody Oct 08 2013 6:34 pm Love the first ep!